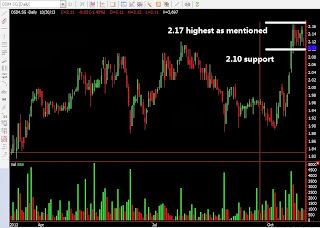 A few days ago, we asked everyone to exit OSIM to exit the stock at $2.17. Indeed this stock since then, has not broken $2.17. That seems to be the highest point. We did it by implementing what we called the "Law of Gravity of Price", a strategy we founded knowing the support and resistance of a stock just by looking at price action. 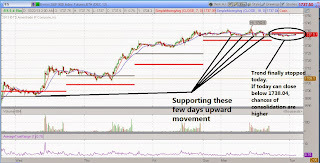 See the chart today. $2.17 is really the highest point reached. Now the fundamental earnings results need to be considered. 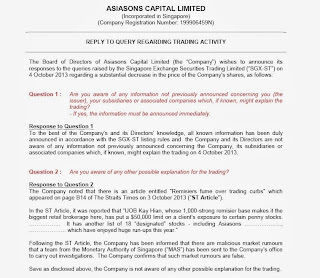 Tomorrow, OSIM will be announcing its results. So I probably will gauge how is the results tomorrow. I am waiting for a quite good result from a good fundamental company before taking the next action. S&P500 cant stop climbing. Today, S&P again hits all time high at 1764 and seemingly unstoppable. It does seem to be so different a scenario that singapore market has. Singapore is lifeless! Agian today penny stocks seem to take a beating. Skyone has a 90% drop, ending at the close with a 80% drop. We did advise on radio all to avoid penny stocks at this moment as this month is the seasonal month that pennies get killed. A lot of funds, including foreign funds, in particular US are dumping pennies. The real pick-up will start end of November or December. It will reach a cheap point where funds will start to pick up again. So that point may be a good point to look at pennies or 52 week low stocks again. Be patient! By the way, the only sector that is still doing relatively well in Singapore is the commodities sector. This is in line with the good China economical results we have recently. I got a few friends asking y didn't I have more posts on singapore stocks recently? The answer is that I cant seem to find anything worthwhile to mention. Asia market today seems to be dragged down by Nikkei 2% drop. The market seems to be in general consolidation or weakness since the good news of the debt ceiling. This is what we called, buy on expectations and sell on news. Although the market is not panicking, it needs a rest. STI seems to be resting quite nicely above the 3200 region. 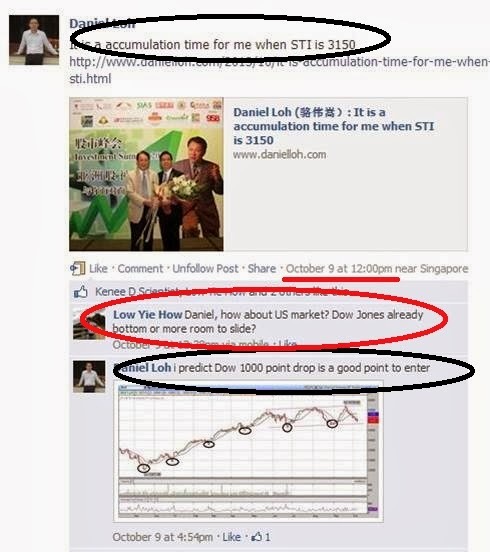 Do take note that we expect STI to go for 3270-3300 by year end. KLCI like what we expected broke 1800 barrier. Now it is at 1814. We expect KLCI to have a strong resistance at 1880 should it reach this year. Today in America, Amazon and Microsoft, 2 big giants in the retail and tech industries both issued a good earnings. I really think that this last quarter, we should look at the tech sector. Christmas rally should be ringing the bells this end of the year, due to the good earnings. Singapore Stock Tip: OSIM reached our target of $2.17! 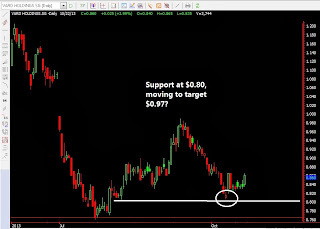 I did issued a call on OSIM saying that breaking out of $2 seems likely. 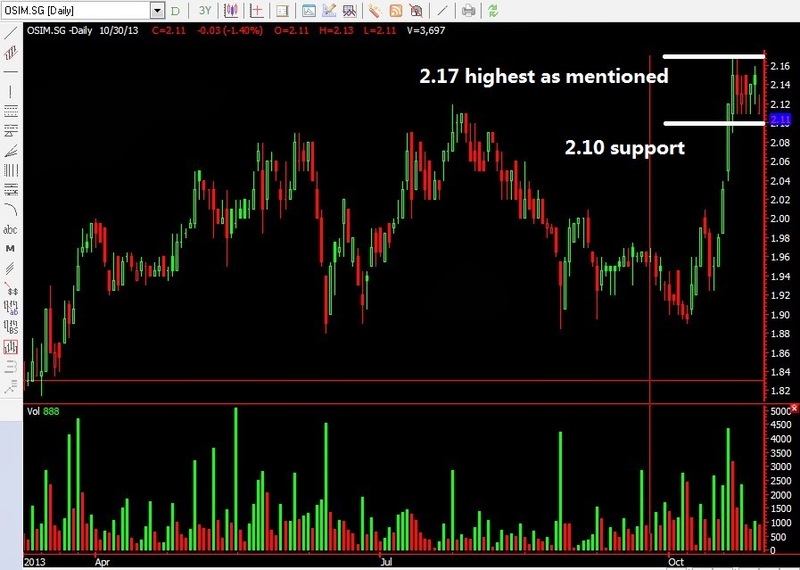 My 2nd target price is $2.17-$2.20. Of course, for this case, we did not get the timing perfectly right as it did retrace back to $1.89 before penetrating the $2 resistance. 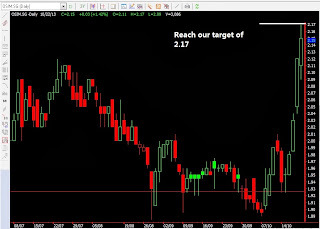 It went straight to our target of $2.17 in a few days. The reason for the retracement is the debt ceiling and govt shutdown worry. But as I always say, if you select a strong fundamental stock, it should always come back. And although we may be stopped out at $1.95 amid the drop, I will always be looking to buy back at $1.95 when it comes back up. However I think now, it deserves a rest, at least consolidate for a while before moving again. If you are in short term, today will be a good exit point. If it breaks off $2.20, it needs to rest for quite a while between $2.21-$2.29. 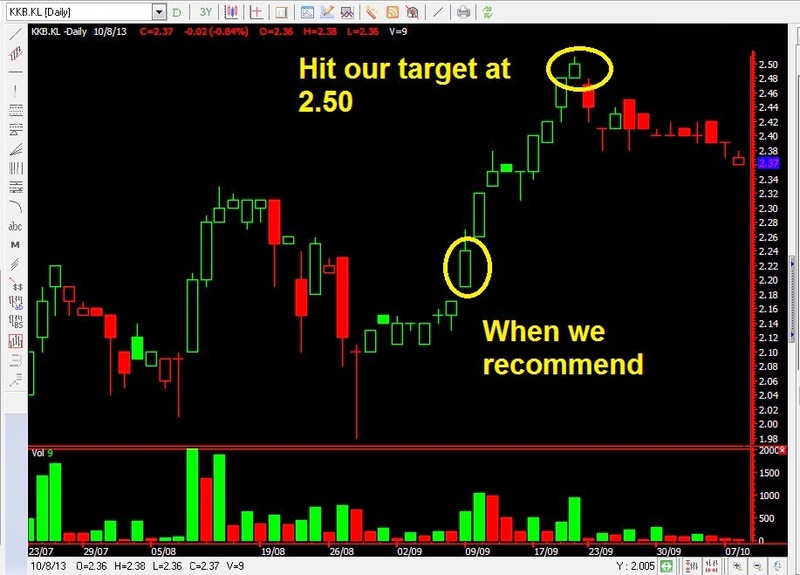 This stock really followed our call accurately. When we say it will top at $1, it did and fall to $0.80. At $0.80, we said we covered shorts, and buy. It reached bottom at $0.80. Now it is at $0.86. But for this stock, dont chase. If it falls back to 0.80, then see. 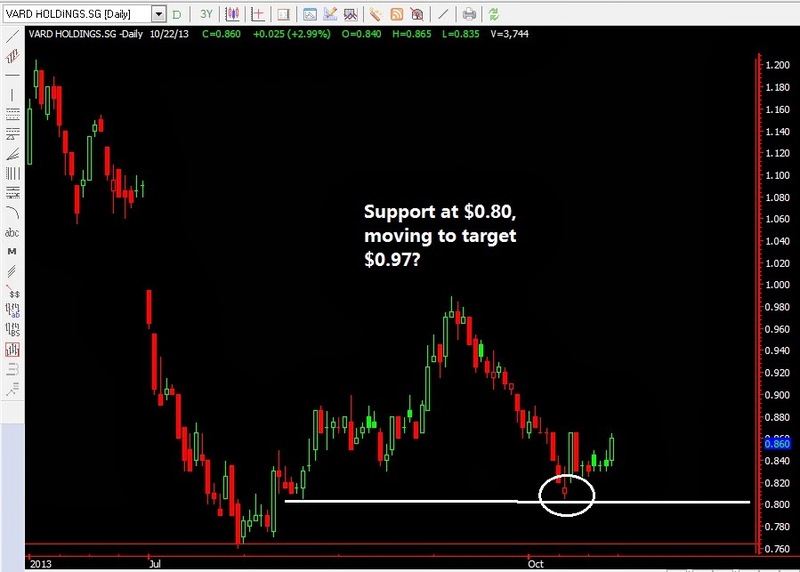 We do target it to reach $0.97. Now we establish a stop at entry price. The S&P500 has been the better performing index these few days, after breaking all time high. But looking at our proprietary indicator, the CRS system, it shows today the uptrend may have halted. If today S&P500 futures can close below 1738.04, it would mean S&P500 might consolidate sideways or drop a bit. So take note of 1738.04 figure today. 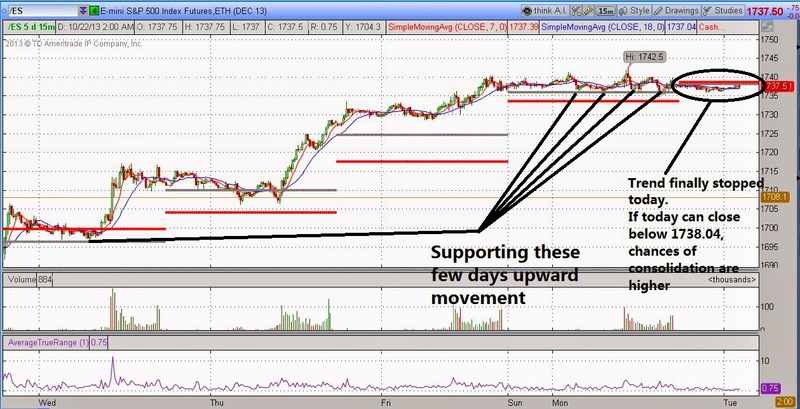 A post by Andy Yew: Catching the REITS turn around? Last week did you see some of the stocks climbing higher every day? Which are the market leaders taking the lead to move higher? Using our ART postion trade system, we see many of the reits counter has recover from its recent low, right now is probably a good time to look at some reits with potential upside. Seems like the chart of all the REITS is quite similar, it is actually confirming the trend with us, which is an "Obvious" uptrend for mid term. So its now only up to us to choose which REITS to go with. The 3 chart below shows some of the strongest looking reit that we can consider. One week back in 30th September on Monday when STI is falling, we issued a call to accumulate stocks when STI is 3150 or below. 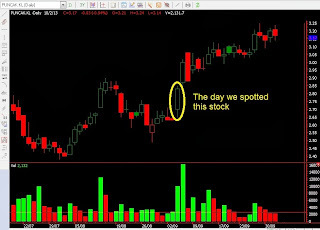 Yesterday, we again issued a call to accumulate stocks. 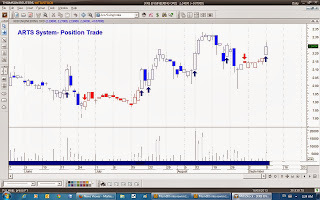 We mentioned that we are looking to accumulate STI at 3150 as we think there is a turnaround. This call is amid the unresolved debt ceiling issue. We mentioned our call in websites, seminars, radio station. Today STI is at 3170 now. I am not saying that this time we are right. Because STI just increases by 18 points today. Only time will tell if we are correct. 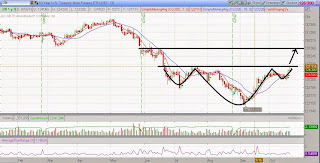 If you followed our call either to buy STI ETF or futures below 3150, you are already in a profitable position like us! 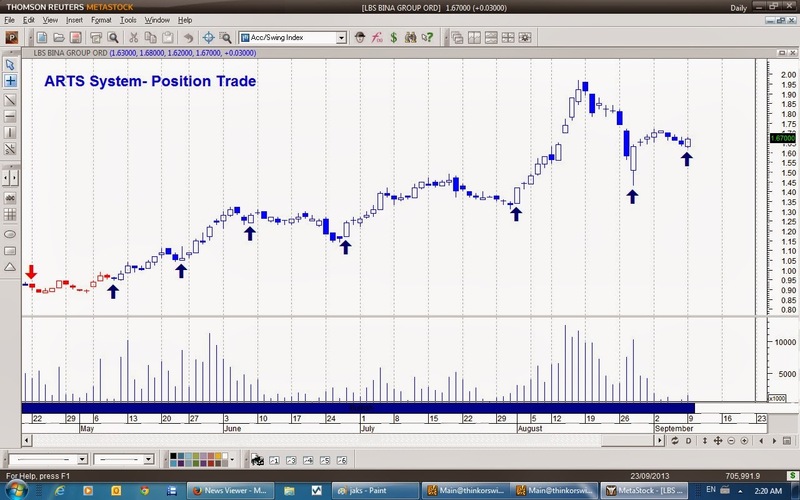 We advise you to now place your stop loss at 3150, the entry price. And let the profit runs! 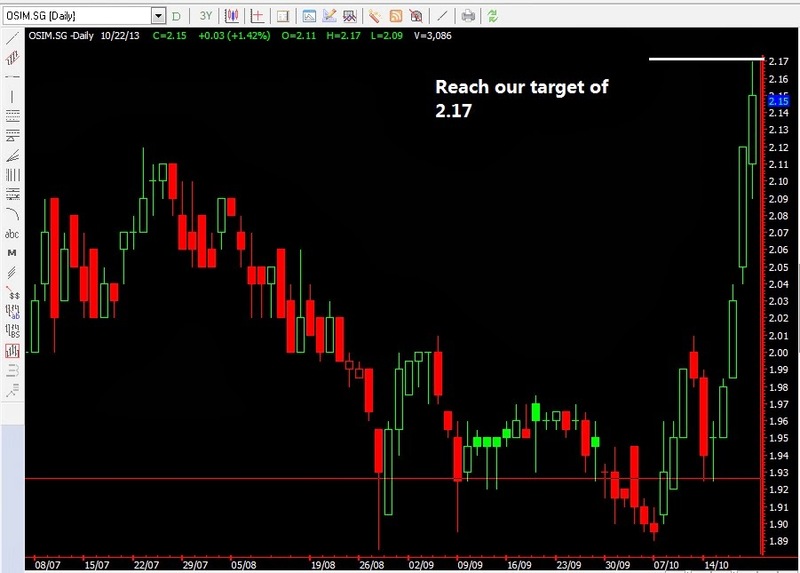 This is trader's money management number 1 lesson! Even if it snaps back below 3150 and trigger our stop loss, so be it. Get out at breakeven. If so. we will be accumulating STI at 3150 the second time it stands above that point! We are prepared to let it run to 3250-3300. So far this year, we have been VERY Accurate with all our major predictions, and at times to our own amazement! This year, we have predicted the Nikkei top at 16000, Nikkei bottom at 12800, Gold bottom at 1200, Gold recent high at 1440, Crude Oil recent top at 110, STI bottom at 3000, KLCI bottom at 1700, KLCI recent top at 1800, Jakarta bottom at 4000, Hang Seng bottom at 20000, Shanghai Composite bottom at 2000, AUS/USD bottom at 0.89! It is not easy to find someone who can issue predictions about the world market because it takes courage to give a call in the media. But we are glad we continuously do so! And if you followed our major indices, currrency and commodities calls closely, this year, you would have make quite a bit of money. As usual, we are predicting now that STI to turnaround at 3150, KLCI to break 1800 this quarter, Nikkei to halt at 16000, Dow to bottom at 14700, Gold to head for 1200! No dates to his previews now as all sessions fully packed till end of month. Do look forward to his predictions though. And help to refer your friends to watch this blog. 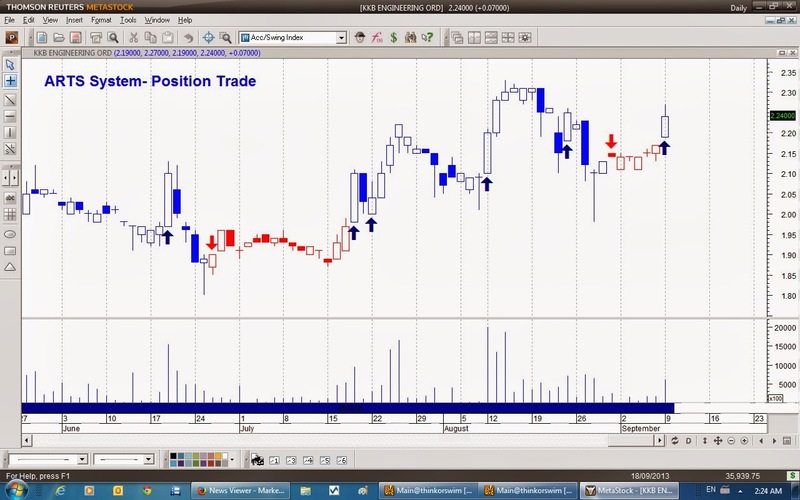 FREE KL Stock Seminar: Will KLCI break 1800 this year? - What malaysian stocks to invest in October? 1) KL Stocks you may see this October? 2) What are the chances of breaking 1800 this year? 4) How is the debt ceiling issue now? With the upper hand that Obama has, he don't seem to relent in his approach. His stand to Boehner, the House speaker is "You better do what I want or America shall perish". This time round, the upper hand Obama has is if Boehner does not relent, he would incur the wrath of the Americans. We do think that in the end this will be resolved, but perhaps tearing the relationship again between the 2 parties. This can be resolved if Obama gets his way, and House representative Boehner does compromised. Of course as a trader, I think by the dateline next thursday 17th Oct, there should be a compromise. In fact, it would be good to do some homework on the potential stocks that you can play. We feel that with the almost everyday drop, a resolution that is reached would cause a sharp rebound. We do believe that by year end, Dow should reach all time high again, barring no tapering from the QE. 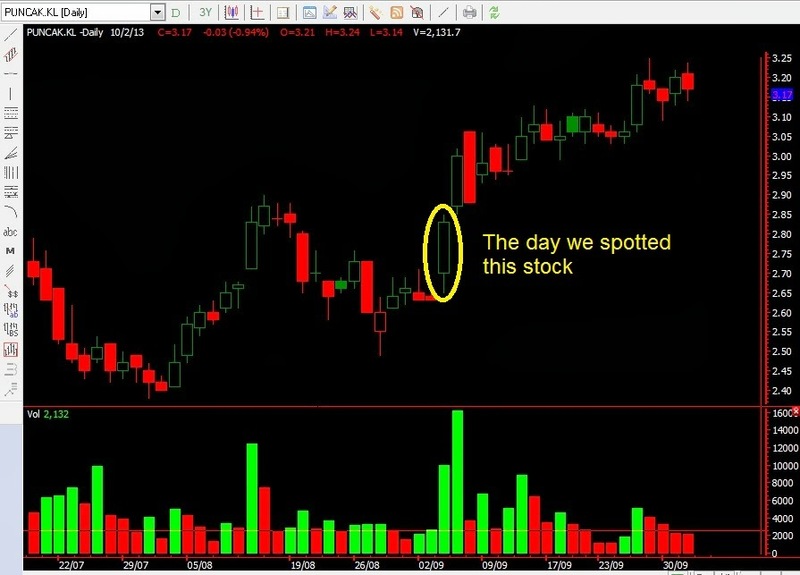 To summarise, do your homework on locating some good stocks now. If you still are uncertain whether to enter, wait for further action by the Republicans to show a compromise at the table. 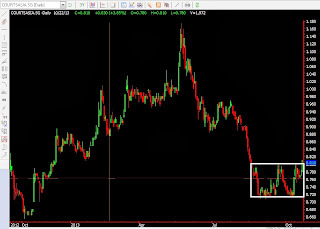 2 Malaysia stocks that we discussed in KLSE ran, guess what is next?? One month ago, we held an event in KL. 2 of the stocks that we asked everybody to watched ran. By the way, we would be launching another seminar this weekend!!! Please check out below! Thank you for all your support! We hit 1000000 pageviews! We have been writing in this blog for 1 year and 10 months. And we have hit our first 1000000 pageviews! Thank you so much for all your kind support! Do let more investors and your friends know about us, so that it will give us more strength to continue our sharing! 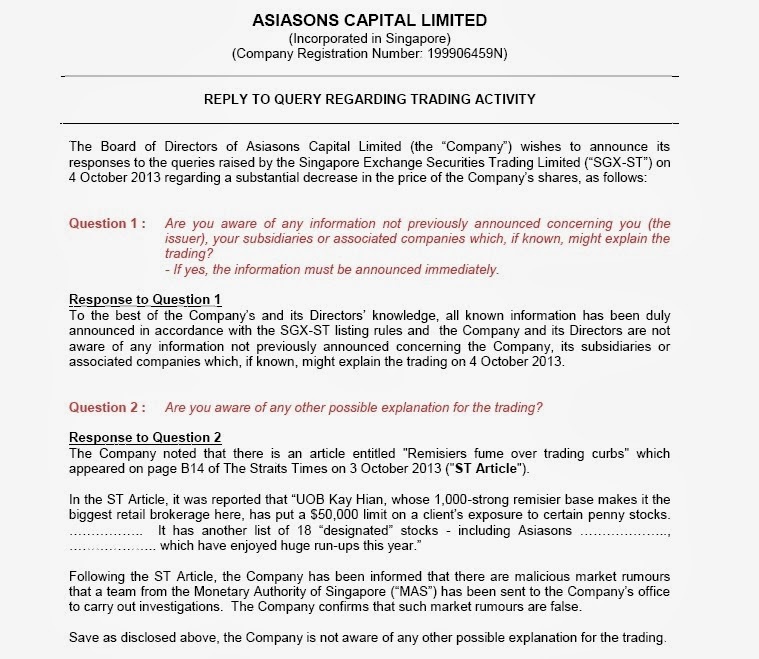 A keen reader keep asking about Courts Asia, a stock he has. If you are like him, I suggest holding on to it. It does seem that buying is there at 0.7 region. 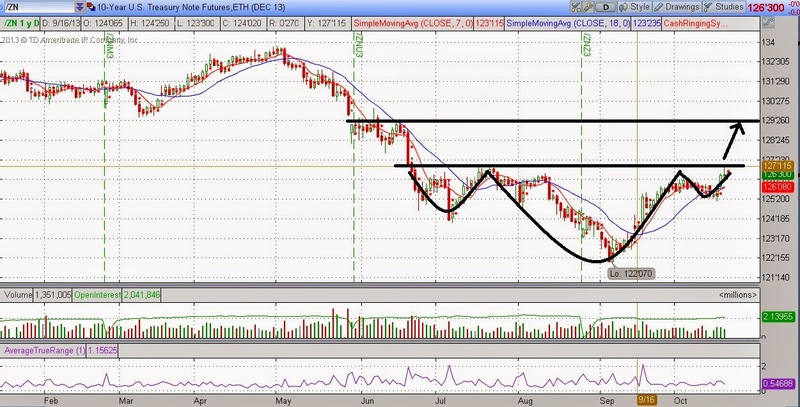 I feel that is a good accumulation region. It would be wasteful to sell now if it rebounds. 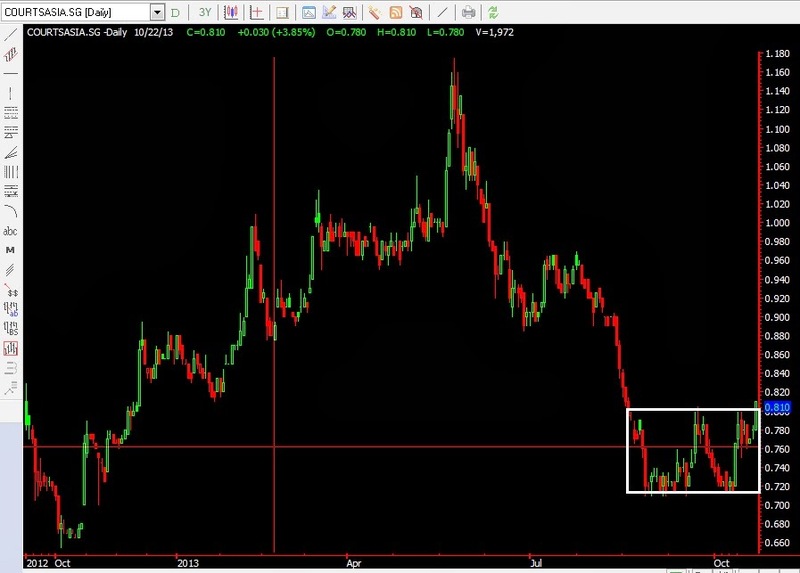 But do remember that this stock has a similar pattern play to Vard. It will be ding donging between 0.70-0.80. 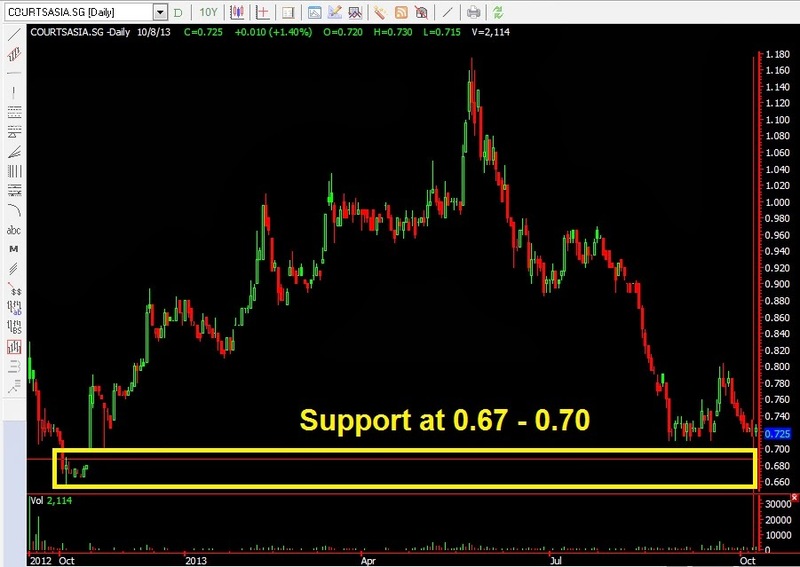 If it breaks out of 0.80, it is likely to try to poke $0.97, where like Vard, is going to pause for sometime. 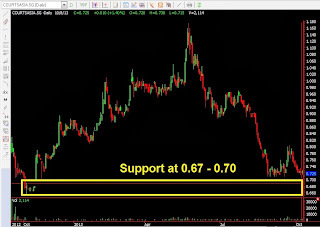 If break 0.70, stop loss at 0.65!!! 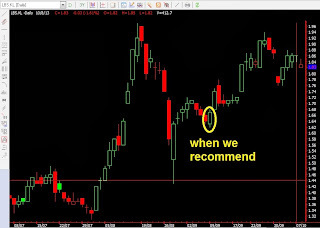 No hesitation for a down trend stock! Do not enter if you have not... just a reference for those who are having this stock. 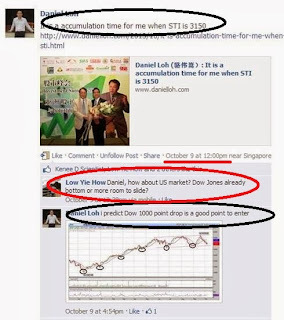 Like what we predicted, STI reached our target 3150. We did mention on radio and past articles that at 3150, we think might have a good support, it may be time to pick some stocks. Today STI opens and goes to a low of 3135 before rebounding. No matter what, we feel you should park a bit of money into the stock market to test water. If things go according to plan and STI climbs to 3300 from now, accumulate along the way! 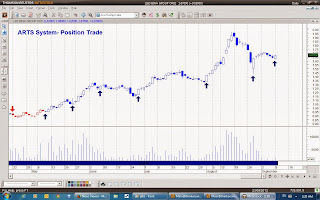 If STI drops to 3000-3050, which we think will be really a low point, go in with larger position! Our stand is that this time round, there might not be a chance of dropping that deep. If there is, it is Christmas Gift in advance!